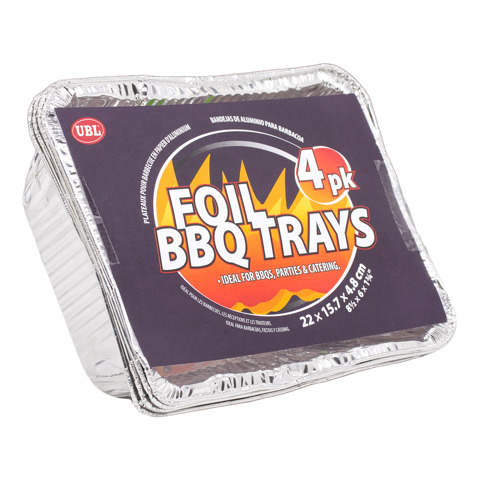 Foil Serving Tray 15X22Cm 4Pk. 22 x 15 x 4cm. Silver Foil. Aluminium Foil. 0 Packaging: Half Shrink Wrap with Colour Label.